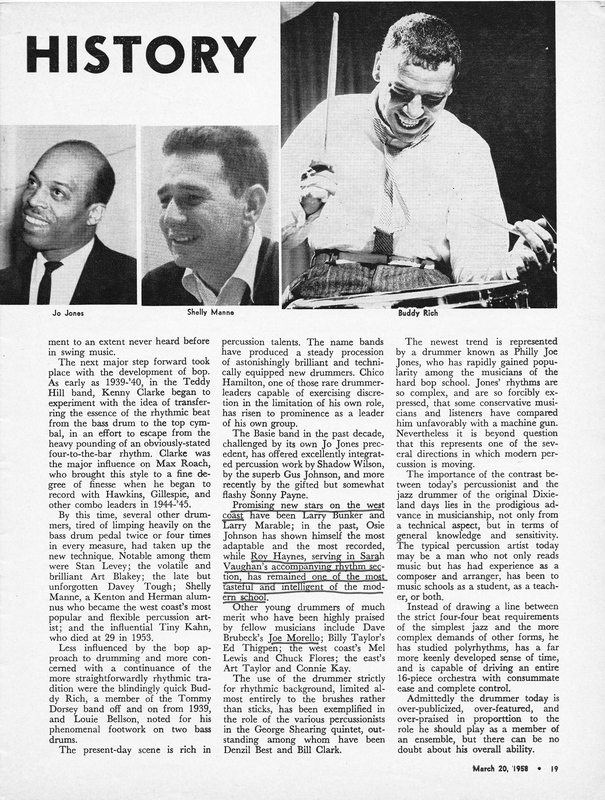 SKF NOTE: From Down Beat‘s March 20, 1958 issue comes this brief history of jazz drummers; an excerpt from Leonard Feather‘s The Book of Jazz. Feather was a prolific jazz writer, perhaps best known for his Encyclopedia of Jazz. Through his writings — his books, his liner notes, his album reviews, and his classic Down Beat musician Blindfold Tests — Mr. Feather was a key part of my knowledge of jazz. I’ve had this 1958 issue in my possession since the early 1970’s. The underlined sections are mine. I’m sure I used them as a source in one or more of my published writings. 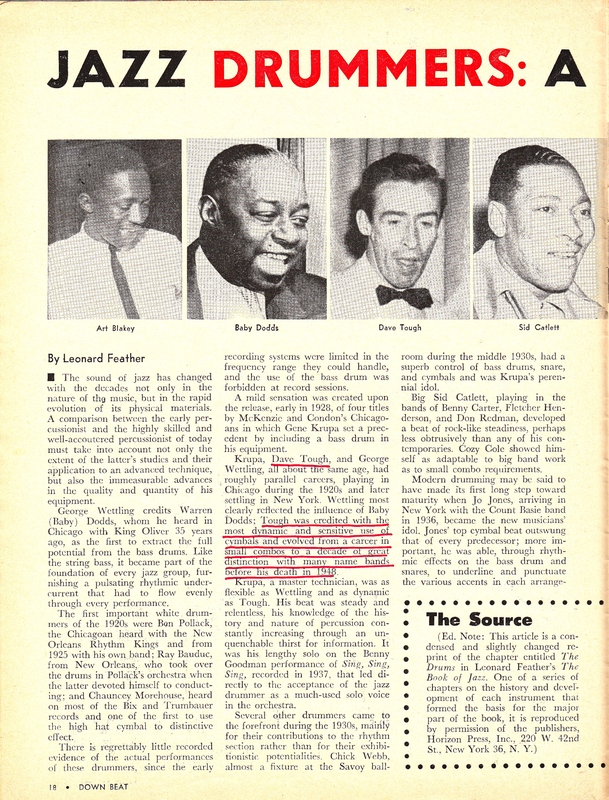 It’s interesting to read Feather’s take on where jazz drummer’s and drumming were as of 1958 — 57 years ago! But I’m willing to bet not many drummers today will agree with Feather’s conclusion: Admittedly the drummer today is over-publicized, over-featured, and over-praised in proportion to the role he should play as a member of an ensemble…. This entry was posted in SKF Blog and tagged Down Beat, Drummer, History, Jazz Drummers, Leonard Feather, Scott K Fish. Bookmark the permalink.